With Gillian Anderson saying X-Files season 11 is her last, this could be the end of the show according to Chris Carter. Gillian Anderson reiterates that the upcoming 11th season of X-Files will in fact be her last. Mulder and Scully need Skinner's help, despite not trusting him one bit, in a new trailer for The X-Files Season 11. David Duchovny and Gillian Anderson address the intense final moments of X-Files Season 10 and how it leads into Season 11, debuting January 3 on Fox. FoxNext Games is teaming with with Creative Mobile for a new mobile game X-Files: The Deep State, with the first trailer revealing a 2018 release. X-Files creator Chris Carter addresses some of the criticisms levied against Season 10, and reveals why he thinks the next season will be better. Fox has revealed that the X-Files Season 11 premiere will be paired with the series premiere of the brand new series 9-1-1. Mulder and Scully enlist the help of Skinner, despite not trusting him, along with a glimpse at a new alien in the X-Files Season 11 trailer. Gillian Anderson revealed during a New York Comic Con interview that she believes The X-Files Season 11 will be her last in the series. The cast and producers of The X-Files descended upon New York Comic Con today to unveil the first trailer for Season 11. The first photos from The X-Files season 11 have arrived, as well as the first plot details and the confirmation that the show will debut in early 2018. Fox is bringing back Robbie Amell and Lauren Ambrose as FBI agents Miller and Einstein in X-Files Season 11, with Barbara Hershey also coming aboard. Mitch Pileggi has finalized his deal to return as Mulder and Scully's boss Walter Skinner in The X-Files Season 11. David Duchovny, Gillian Anderson and other original X-Files stars reunite for the new Audible audio book X-Files: Cold Cases. New X-Files Episodes Coming in 2018? Fox president David Madden teased at the TCA Winter Tour that the network is 'very close' to ordering a new season of X-Files. Thirteen years after the original series run, the next mind-bending chapter of THE X-FILES is a thrilling, six-episode event series from creator/executive producer Chris Carter, with stars David Duchovny and Gillian Anderson re-inhabiting their roles as iconic FBI Agents FOX MULDER and DANA SCULLY. Mitch Pileggi also returns as FBI ASST. DIR. WALTER SKINNER, Mulder and Scully’s boss, who walks a fine line between loyalty to these investigators and accountability to his superiors. This marks the momentous return of the Emmy- and Golden Globe Award-winning pop culture phenomenon, which remains one of the longest-running sci-fi series in network television history. 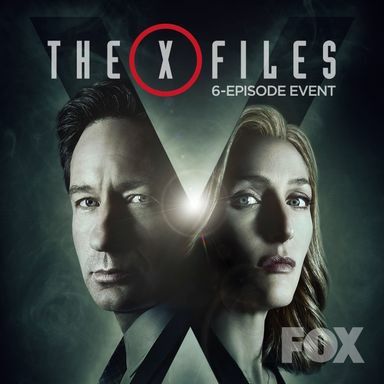 THE X-FILES debuts with a special two-night event beginning Sunday, Jan. 24, 2016 (10:00-11:00 PM ET/7:00-8:00 PM PT), following the NFC CHAMPIONSHIP GAME, and continuing with its time period premiere on Monday, Jan. 25 (8:00-9:00 PM ET/PT). The upcoming event series will encompass a mixture of stand-alone episodes and those that further the original show’s seminal mythology. In the opening episode, Mulder and Scully take on a case of a possible alien abductee. The all-new episodes will feature appearances by guest stars, including Joel McHale (“Community”), Robbie Amell (“The Flash”), Lauren Ambrose (“Dig,” “Six Feet Under”), Annabeth Gish (“The Bridge”), Annet Mahendru (“The Americans”), Rhys Darby (“Flight of the Conchords”), Kumail Nanjiani (“Silicon Valley”) and William B. Davis, who reprises his role as “Cigarette Smoking Man.” Three of the episodes are written and directed by Chris Carter, with the remaining new episodes written and directed by original series veterans Glen Morgan, Darin Morgan and James Wong. THE X-FILES originally premiered in September 1993. Over the course of its nine-season run, the influential series went from breakout sci-fi favorite to massive global hit, and became one of the most successful television dramas of all time. The show, which earned 16 Emmy Awards, five Golden Globes and a Peabody Award, follows FBI special agents Scully (Anderson) and Mulder (Duchovny), as they investigate unexplained cases – “X-Files” – for which the only answers involve paranormal phenomena.